I love the crisp days and cool nights but it’s sad to think that tomato season is coming to an end. And while the tomatoes may not be as incredible as they were a couple of weeks ago I find roasting them coaxes out the last of that peak summer flavor. 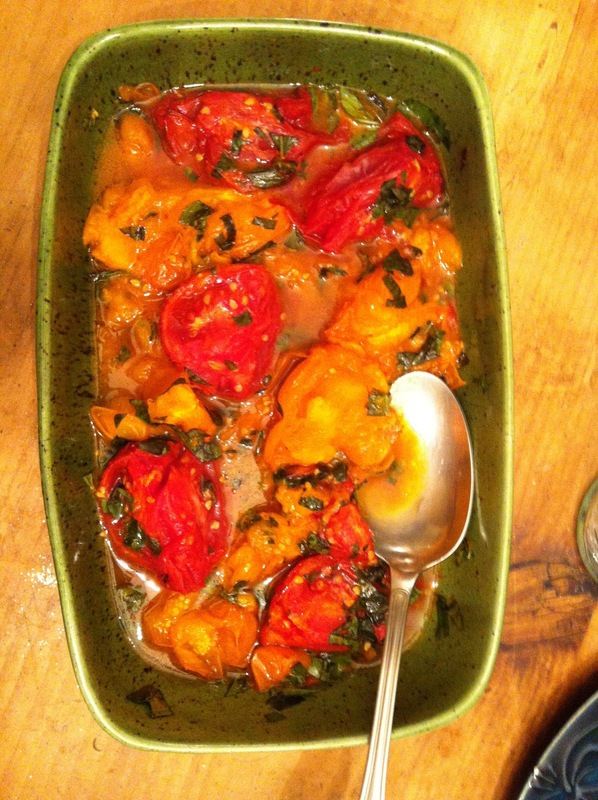 Simply rinse, halve, and gently toss your tomatoes with a little bit of extra virgin olive oil, salt, and pepper. Place them cut side up in a baking dish or cookie sheet and roast for an hour at 350, then toss with some fresh basil and an extra drizzle of olive oil. They’re great hot as a side dish, or cold on a sandwich or piece of fish later in the week. Enjoy them while they last!